Given how popular trusts are, there is a good chance you will include one in your comprehensive estate plan. As the Settlor or Trustor (creator) of the trust, you appoint the Trustee (manager), designate the trust beneficiaries, and dictate the terms used to administer the trust. You also choose how to fund the trust. No matter how much thought you put into these initial decisions, circumstances may change in the future and you will want or need to make changes to your trust. 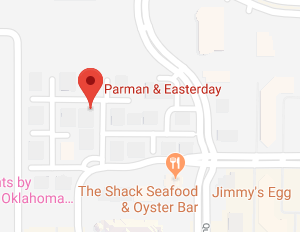 An Oklahoma City living trust attorney from Parman & Easterday will explain how these changes can be made to your living trust. A trust is a legal relationship in which property is held by one party for the benefit of another. A trust is created by you as the Settlor, Grantor, Trustor, or Maker. You transfer property to the Trustee you have named, usually yourself. The Trustee holds the property for the benefit of the trust’s beneficiaries., again usually you when the Trust is initially created. All trusts fit into two categories – testamentary or living (inter vivos) trusts. Testamentary trusts are created at death by the Settlor’s Last Will and Testament and do not exist during the Settlor’s lifetime. A living trust is created by the Settlor during his or her lifetime. Living trusts can be broken down into revocable and irrevocable living trusts. If the trust is revocable, the Settlor may modify or terminate the trust at any time. An irrevocable trust cannot be modified or revoked by the Settlor for any reason. Testamentary trusts are always revocable until the person dies because the Will itself is always revocable until the Testator’s death. Can You Make Changes to Your Living Trust? Because a living trust can be revocable or irrevocable, you will want to know if you can make changes to your trust. If you created a revocable living trust you can change the trust at any time. If, on the other had, you created an irrevocable living trust, you probably cannot change the trust except in very limited circumstances. In some cases, the beneficiaries of an irrevocable living trust may be able to change the trust, or you may be able to petition a court for the right to modify or terminate the trust. As the Settlor, however, you do not have the right to unilaterally make changes. Amending the trust – a trust amendment is normally used if the change you wish to make is minor. To amend a trust, locate the provision or term in the original trust agreement you wish to change. 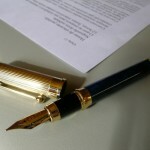 Your attorney will then prepare a “Trust Amendment” explaining the change to be made to the original agreement. This amendment will have to be executed with the same formality as the original Trust, meaning it will have to be signed before a notary and possibly disinterested witnesses. State law may require additional steps. Creating a trust restatement – a trust restatement is used if you need more extensive changes to be made or the trust has been amended several times in the past. A trust restatement is a complete rewriting of the original trust agreement to incorporate your changes and any changes in the law. You are not revoking the original trust, just changing how it is to be administered. Again, state law may impose additional requirements regarding the execution of the restatement. Revoking the trust and starting over – revoking a trust sounds a lot like restating a trust, but there are important differences. While the procedure is almost identical, the language makes a huge difference. A restatement is usually preferable to revoking a trust because if you revoke the trust, all the assets in the trust will have to transferred to the new trust. If you revoke the old trust before you create the new one and transfer the assets to it, the assets could technically be out of the original trust for a short period of time, which could have unintended tax consequences that could have been avoided by using a restatement instead of revocation. For additional information, please join us for an upcoming FREE seminar. 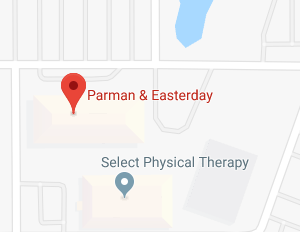 If you have additional questions or concerns regarding the best way to make changes to your living trust, contact the experienced Overland Park living trust lawyers at Parman & Easterday by calling 405-843-6100 or 913-385-9400 to schedule your appointment today. Can Living Trusts Help You In Case of Incapacity?